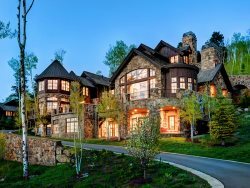 "The "Ski Castle" is amazing and I can see why its one of the Top Ten ski homes in America. You do a wonderful job representing this mag..."
"Our group of 14 has rented this home for summer vacation 2 years in a row. The house sets up great for multiple families. Plenty of bed..."
""Great Place to stay!!" 5 of 5 One of the nicest places to stay at Keystone!! We will definately stay here again!!" 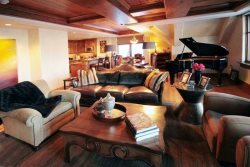 More guest reviews >> Ocean Summit Travel is a licensed and insured specialty travel agency and wholesale lodging company headquartered in the heart of Beaver Creek Resort. We've been in business since 2002 and are an A+ rated member of the Better Business Bureau. 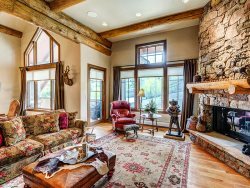 Our agents are experts in vacations rentals in the the following ski destinations: Aspen/Snowmass, Copper Mountain, Deer Valley & Park City, Breckenridge, Beaver Creek, Keystone, Summit County, Telluride, Steamboat Springs, Vail and Winter Park. Ocean Summit Travel also represents condo and vacation rental homes in great beach destinations such as Kiawah Island, SC, Puerto Vallarta and the Mayan Riviera in the Yucatan Peninsula in Mexico. There is NO AGENCY in the U.S. that knows more about Playa del Carmen than our agency and that is a guarantee since our owners and agents own property in the town and have been traveling there for 18 years! We personally visit these destinations regularly and hand select properties to represent that meet our tough standards for quality, dependability and value. Please review our great selection of vacation rentals and let us know if you don't see exactly what you seek because our agents are always up for the challenge of finding you the perfect vacation rental!